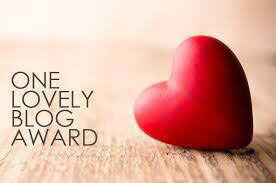 I am grateful and thankful to be nominated for the blogger award, “One Lovely Blog Award”! Thank you lifeasiinterpret for nominating me. I’ve been reading her blog the last couple of months and I’m inspired by her writings, the journal posts, the regular check ins on budget, health, joy. I am 39, mother of two beautiful kids ages 10 and 14, wife, daughter, sister, and friend. I am an entrepreneur with 9 employees who are more like family members than employees. I work really hard but I love the flexibility of creating my own work schedule. I quilt to relax. I have other hobbies that I’ve done over the years (scrapbooking, knitting, cross stitching, stamping, etc.) but right now I’m consumed by quilting. When I’m on vacation, I play World of Warcraft. But only when I’m on vacation so that I can play for hours without interruption (at least until the kids get home from school). I love to read but I find that I don’t have time to sit and actually read a book, so I’ve been listening to audio books while I quilt. It’s been the best way to keep up with my reading and quilt at the same time. I love to travel. I haven’t had as much time or money to in the past but that has changed in the last few years and the family and I made a conscious decision to not buy expensive Christmas gifts for each other (ex – no PS4 for the kids or whatever new gaming system is out). We use the money towards a family vacation. The first year we did this, we rented a house in Reno, NV for a week. Last year, we went to Hawaii for a week. This year, because of the different school schedules, we won’t be able to go on our family vacation until after school lets out in June. But we’re planning an extensive trip to Florida. In 2017, we would like to go abroad, possibly the Philippines. We actually spend more than we would on gifts but the memories we have with each other far out lasts the gifts we would have bought or received. I’ll watch a movie sometimes too or a Craftsy class if I feel like it. Thank you, Melanie. I finally got a blog post up! Reading. Sigh. I often stay up way too late because I just can’t put the book down! But if I don’t read, I become impossibly grumpy and difficult to live with! I do audio books when I’m on the road by myself.